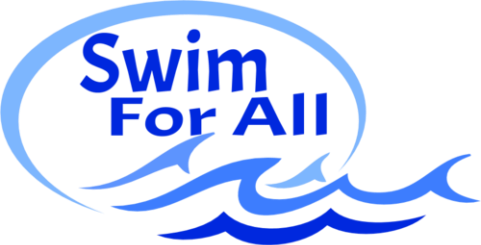 Swim For All allows you to form your own group with friends. All group lessons are created by clients based on Coach Amy's availability. Group Swim lessons for ages 3 and up focus on water safety, stroke development, and confidence. If your child is a young three year old please ask for a group readiness evaluation by Coach Amy. Not sure of what level your child is or what to have an idea of how to describe your child's ability -see below for rough descriptions. Beginners are those who are not safe or independent in the water. The focus will be on teaching comfort underwater to build a strong foundation for additional skills. We will work on submersions, rollover breathing, back floats, and independence in the water. Novice swimmers can float on stomach and back independently for at least 10 seconds, kick on belly with head in water for 10 feet and rollover for a breath. The focus on building strength, confidence and independence in the water. We will focus on freestyle, kicking on back, and swimming 20 yards unassisted. Advanced students that can swim 20 yards alternating between freestyle and kicking on back. The focus will be on a pretty, rhythmic freestyle with side breathing and a rhythmic backstroke while building independence and endurance. Breaststroke and butterfly kicks are introduced. For swimmers with solid freestyle and backstroke skills. The focus will be on good stroke mechanics for freestyle, backstroke, breaststroke and butterfly while building endurance. Group classes are formed as needed by friends, siblings, or school groups. Please see Lesson Availability page for summer days/times. Please contact Coach Amy for more information.